Outlook 2016 has a selection of effective search and sorting methods. Catering to users who feel more comfortable with an extensive inbox history at their fingertips, one of the most useful is the Search Folder. This search and retrieval method allows users to create a folder that contains a look at email that matches the search criteria of your choosing, regardless of the folder of origin. Say you were to choose "Invoices" as a search parameter. The Search Folder will aggregate any email pertaining to that topic from any folder into one location. Keep in mind that the Search Folder cannot be used to retrieve results from more than one Outlook Data File. Outlook enables the user to create custom or predefined search folders. From Outlook, select Folder from the navigation ribbon. Locate the New group and select New Search Folder. In the Select a Search Folder list, select Create a custom Search Folder from the Custom section. Under Customize Search Folder, select Choose then assign a name to the search folder. Select Criteria, which allows you to assign various search options. Select Browse, which presents a list of existing folders. Select the folders to be included in the search. Click OK to all currently opened dialogs. Select Field, enter in your desired criteria, and then choose from the presented list. Locate the Condition and Value boxes and select the presented options. In the Advanced tab, users can define as many or as few criteria as they wish. This option should be experimented with because too many criteria could result in a search that is too narrow to be effective. In the Select a Search Folder list, select the desired search folder, such as Mail flagged for follow up. If available, make use of the Customize Search Folder option to select additional criteria. Additionally, use the Customize Search Folder and use the Search mail in box to determine the mailbox to be used in the search. On the navigation ribbon of Outlook, there is an option to add a Search Tab. This gives you a permanent arsenal of search options to help you sleuth through your messages. Searching through specific folders, by flagged messages or by subject are a few of the possible options. Right click on the Outlook ribbon. Select Home (Mail) located in the list on the right-hand side. In the Choose commands from the list on the left side, select All Tabs. Under Search Tools, select Search. Between the two lists, click Add to move Search from the left list to the right list. No matter what mail folder you're looking at, the Instant Search pane is ever-present. You can enter in a variety of words to help you filter through the folder, such as a name or term, and Outlook will work on displaying all relevant items. What you may not have known is that you can help to refine your search by using logical operators. Instead of John Smith, you can type "John AND Smith" to display messages that contain both words but not always in the same order. Other logical operators include "=," "NOT" and "OR." Unless you enjoy rapidly scrolling through a long list of items, Outlook 2016 gives you no excuse to waste time searching. At the very least, you have alternatives when managing your mail items. Which methods do you use? Let us know in the comments below. 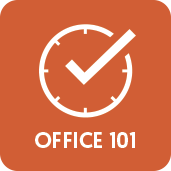 And you can visit our Office 101 help hub for more related articles.